1. Revell have released another variant of their 1:32 Eurocopter EC135. This time it's the aircraft that entered service with the HeeresFlieger WaffenSchule in September 2000, replacing the Alouette II as the German Army's basic trainer. This is kit #4465. Revell are now saying that their 1:72 Merlin HC.3 #4468, originally scheduled for Oct-01, will now be released in Jan-02. The 1:72 EC135 #4457 that first appeared in the 2000 catalogue is now listed for Dec-01. 2. Revell's re-box #4466 of the 1:48 SH-3 Sea King is exactly the same as the previous Hasegawa issue #P111, with 'Bicentennial' markings for 212574 from HS-10 "Taskmasters" from NAS North Island, 1986; and standard markings for an HS-9 "Sea Griffins" aircraft from Theodore Roosevelt during Desert Storm in 1991. 3. Revell / Monogram's re-issued 1:24 UH-1B Gunship #4865 has been released, with markings for the US Army's 114th Assault Helo Coy. and 1st Air Cav. Div., both in Vietnam. I suppose this means they are scheduled for release early in 2002. The UH-1F has been expected ever since the appropriate engine cover was seen among test shots for the AB204, but the Seahawk is a major and welcome suprise. 5. Hasegawa have released their new 1:48 AH-64D Apache Longbow kit #PT23. There are some new pictures at HobbyLink Japan. 6. Amodel's Ka-15M #7256 has been released, this differs from the previous Ka-15 #7242 in the inclusion of Aeroflot markings and four rectangles of plastic sheet, which build into a helipad. Also now available is the Amodel Mi-1 'Balonett' #7238, which includes 'pontoon' floats and markings for Aeroflot and an Mi-1MG from the Russian whaling ship 'Slava'. You could take a look at the pictures of my interpretation of the Amodel Ka-15 at Aviapress, (as well as in the HKN Gallery). 7. ACE / JuMT have re-released their 1:72 short-run Tsagi A-7-3A gyro kit. Same decals, same plastic (just white), in a grey cardboard box with a small xeroxed picture. 8. I understand that the Trumpeter 1:48 Harbin Z-9 (Dauphin 2) kit will be issued first in the WZ-9 attack version, implying that there will be more versions to follow. Trumpeter do have a record of releasing numerous variants of their kits. I don't have any further information on the release date, previously given as Dec-01. 9. New this week from Dutch Decal is sheet #72050, the KLu Chinook. Coming soon will be markings for KLu Apaches in three scales, and there are plans for the 200 Sqn "Grasshoppers" Bo-105CB sometime in the future. 10. Dave Roof of Orion Decals says "Coming next will be FIVE sheets covering helicopters. 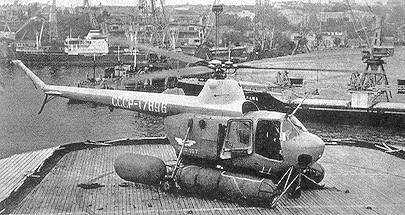 Three will cover UH/MH/SH-60s in ALL THREE scales. One will cover AH/UH-1s (yes, it's finally coming) and the last sheet will cover USMC/USAF CH/MH-53D/Js. Got some real good stuff from AFSOC at Hurlburt Field this afternoon)." The artwork for the these will be started in a couple of weeks and go to the printer about 3 to 4 weeks after that. 11. Following up on the Royal Yugoslav Air Force Cierva C.30A decals (HKN #130), it turns out that they are made by LiftHere! Decals (not by Maketorama). The limited (300) edition decal sheet also has markings for 2 x Me-109E, 2 x Hurricane Mk.I early, Me-108 Taifun and Fieseler Fi-156 Storch. #XS136 for the1:72 Italeri / Revell Bell 212 / 412 / UH-1N, etc. #XL047 for the 1:35 Academy Black Hawk. 13. 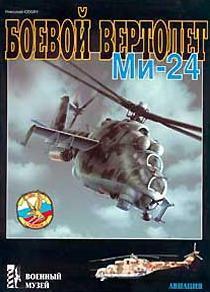 Great Models are advertising a new book from Armada Publications on the Mi-24 Hind. They say this has "hard cover, 64 pages, 130 b/w photos, 1:72 scale drawings. Russian text with English captions." From M-Hobby we learn that "Armada is a series of landscape format publication very similar in concept to Squadron-Signal In Action series. Each title is devoted to one particular aircraft or AFV type or family. Usually each book contains about 100 black and white photographs (most are previously unpublished), colour profiles and scale plans (1/72 or 1/35 scale for aircraft and armor respectively). English captions are provided as well as a short English summary." 14. On the news-stand (if you happen to be in Portugal) there's the second issue of the magazine 'Luso Scale', the general modelling magazine that inherited the traditions set up by the extinct 'Luso-Fanatics' from the IPMS(UK) Portuguese Military Aviation SIG. This issue includes a very complete article by Rui Oliveira on a step-by-step building of the Sikorsky H-19, including the type's history in Portuguese service and several modelling tips. 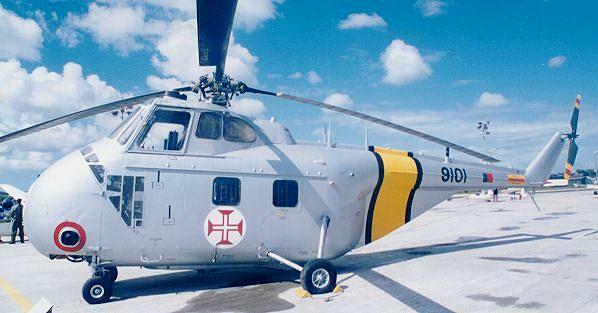 The above information comes from Transtornados, the latest on-line edition of which also has links to videos of the Portuguese Navy's Lynx Mk.95. 15. Burkhard Domke has excelled himself over the last few weeks, posting additional images of the Mi-26T Halo and completely new walk-arounds of the Mi-4, Mi-8/9/17, Mi-24/35, Eurocopter Tiger and the AH-64 Apache. Also new are 60 images of the latest addition to the Luftwaffenmuseum in Berlin: a beautifully preserved/restored H-21 Shawnee (Vertol V-43) that served with German Army Aviation from 1957 to 1972. 16. Too numerous to list here are the many recent galleries and model photos on Hyperscale and the Aircraft Resource Center. In particular look for Tony Morgan's VeeDay C.30 on ARC (Oct 17th). You should really try to visit these sites on a daily basis. Thanks to David Nilson, Alastair Ewen, Lam Chun Wing, Yevgeny Borissov, Rui Ferreira, Burkhard Domke, and Luuk Boerman (Dutch Decals).